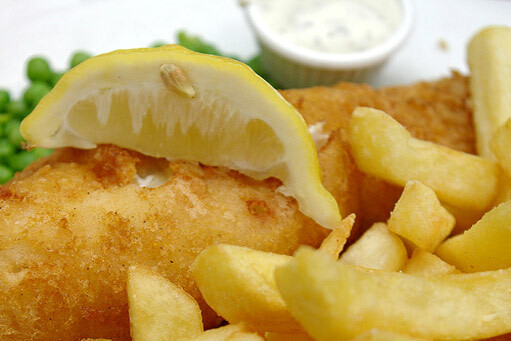 As part of a balanced diet Fish & Chips are good for your health. Providing you with a good amount of protein and fibre and iron! Fishy Business is dedicated to serving you the finest Fish & Chips with a smile. Our staff provide first class customer service! 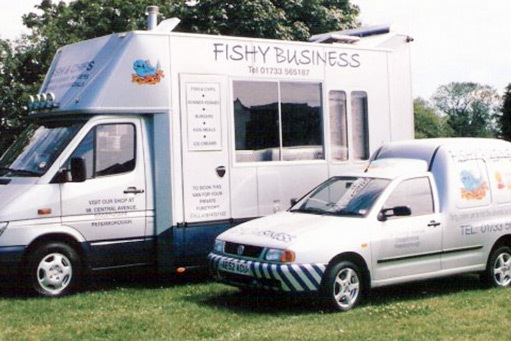 With a state of the art Mobile Chip Shop costing £75,000 Fishy Business brings your favourite foods to you! We cater for private functions and events and have provided catering for a number of weddings! With our delicious range of Doner Kebabs we provide Peterborough with your favourite foods. Our fish is sourced from sustainable stocks. We prepare the chips from locally sourced potatoes. Fishy Business strives to put the customer first; take a look at our team photographs. 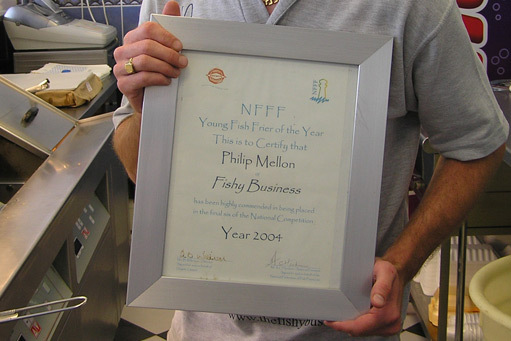 In 2004, Phil once again reached the National Final of the Young Fish Frier of the Year. Battered Mars Bars and Apple pies. We even do Battered Christmas Puddings!